Home » Men news » Fakel’s opposite top scorer of the #FIVBMenCWCH! 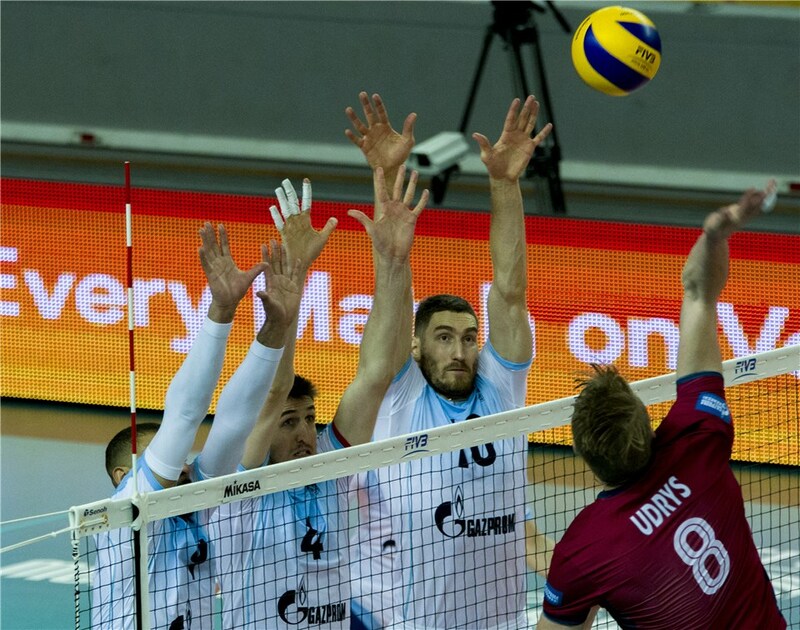 Fakel’s opposite Artur Udrys is in the spotlight after the FIVB Men’s Volleyball Club World Championship. The Russian opposite has scored 81 points in five games, including 8 blocks and two aces. Tsvetan Sokolov and Thibault Rossard of Lube and Resovia have ended the tournament in the second place with 78 points each. One more Fakel’s player Dmitry Volkov had a good tournament with 77 points in total, while in the fifth place is Uros Kovacevic of Trentino with 73 points. The best attacker in this tournament was Aaron Russell with 59,62% success in the attack, who also got the MVP award. Uros Kovacevic comes second with 55,86%, and these are the reasons why Trentino have won the tournament. Simon Robertlandy was the best blocker of the tournament (0,75 per set), while the best server was Thibault Rossard of Resovia, who scored 12 aces out of 77 attempts.